Imagine living life chained outside. You receive hardly any food or water, little to no human interaction, and absolutely no medical attention. You live a life of fear and sadness - hoping one day someone will rescue you. That was life for one young pit bull in Able Springs, Texas. 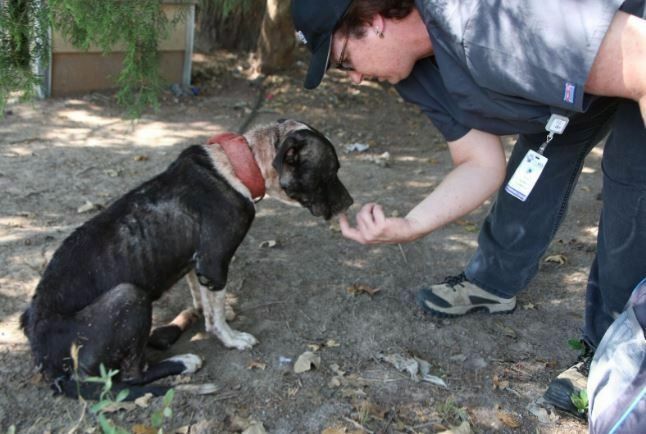 When the SPCA of Texas rescued the dogs from a suspected dog fighting operation in July, they found 14 dogs in horrific condition. One of those dogs was tethered to a car axle with a heavy town chain. The collar around her neck was so large, it made her neck look stick-thin. She couldn’t even lift her head. “None of the dogs had access to proper food or water and only a few had dog houses in which to seek respite from the hot sun,” the SPCA said in a press release. But the dog chained to the car axle stuck out with her hopeless eyes and frail body. (The Dodo). She was the dog no one at the SPCA of Texas could stop thinking about. The dog, who they named Gwen Stefani due to her courage, beauty, and immense courage, was immediately taken to the vet. She had hardly any blood pumping through her veins. 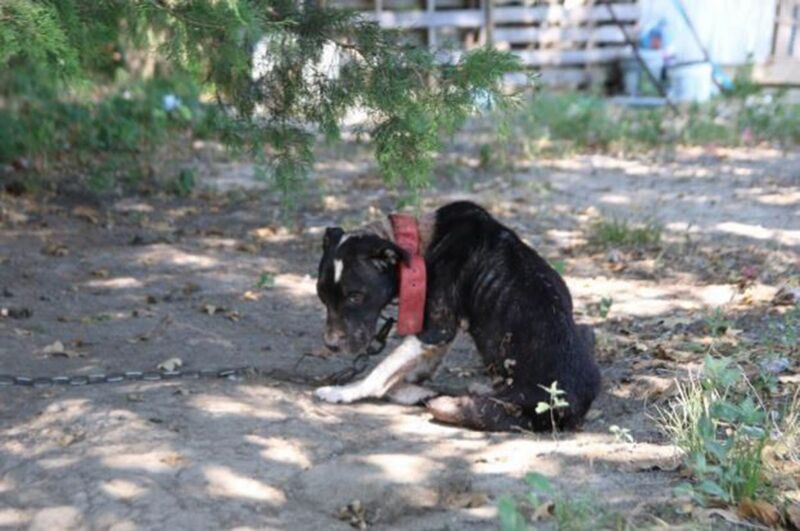 Her skin was dry, crack, and covered in fleas and sores. She was just days away from death. After a few days of treatment, Glen started to look much better. (The Dodo). The staff are confident Gwen will make a full recovery. And when that day comes, she’ll be available for adoption where she can finally live the life she deserves – full of hugs and kisses, a warm bed to sleep on, and unconditional love. Though Gwen suffered tremendous tragedy and suffering in her life, she remains hopeful and optimistic. She doesn’t let the fact that humans have failed her before hinder her love and trust for them. Just like Gwen Stefani, Gwen the pit bull is a picture of strength, courage, and hope.